Enugu State Governor, Rt. Hon. 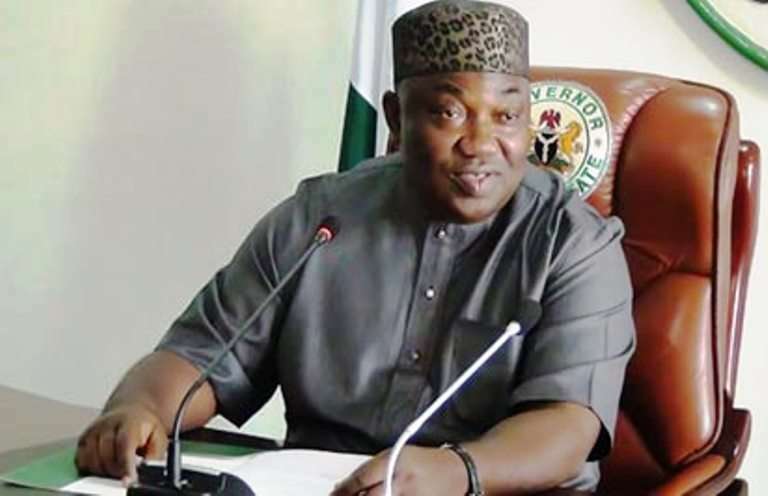 Ifeanyi Ugwuanyi on Thursday presented a budget estimate of N98 billion for 2018 to the state House of Assembly. This came with applause from the House for what they called Ugwuanyi’s transparency and due process in handling the State’s finances. The 2018 proposed budget tagged, “Budget of Sustainable Economic Growth,” was presented to the House during a special session attended by several stakeholders in the State. The Governor, who outlined series of his achievements in 2017, said the 2018 budget was N7 billion less than that of 2017, based on the current realities of the economy of the country. The governor said out of the total budget estimate of about N98 billion, about N60 billion was appropriated for recurrent expenditure while N30 billion was appropriated for capital expenditure. Giving an overview of the implementation of the 2017 budget, Governor Ugwuanyi said his administration embarked on massive infrastructure development in the outgoing year, adding that about 26 road projects were commissioned while many others were under construction. He said in spite of the economic downturn in the country, especially the economic recession, which lasted for about 15 months, his administration made interventions in various critical sectors such as health, education, water resources, rural development, urban renewal and security. Governor Ugwuanyi listed among the roads commissioned in the outgoing year, the Opi-Nsukka Dual carriageway, the Ninth Mile-Nsude-Amah Brewery bypass, the Emene Old Road, from Airport to Ekeh Obinagu, and some failed portions of federal roads, such as the Nsukka-Obollo Afor highway. Ugwuanyi said in the coming year, his administration intends to provide more dividends of democracy to the people of Enugu State and sustain the achievements so far made towards boosting the economy of the state. In his remarks, the Speaker of the Enugu State House of Assembly, Edward Ubosi, assured the governor that the House would give expeditious hearing to the 2018 budget like it did to the previous ones. “No doubt the state is experiencing good governance through the process of accountability and transparency. He does not spend any money without having recourse to this House”, he said.